SkinCeuticals Advanced Clinical Spas, Aesthetic Centers, and Skin Clinics merge cutting-edge skincare technology with the best in clinical procedure know-how. 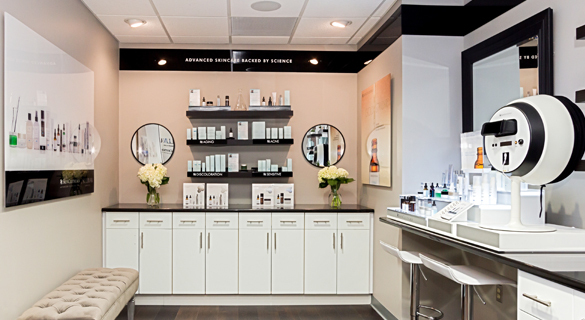 They are the ultimate destinations to experience professional treatments, skin consultations, and SkinCeuticals product recommendations based on individual skin concerns. At Sullivan Surgery & Spa we are a team of compassionate women who understand your desire to look and feel better. We care about you - we listen carefully to truly understand your goals then work to help you achieve the changes that you envision. Thank you for trusting us with your care. Our physicians - Dr. Kelly Sullivan and Dr. Emily Clarke-Pearson - combine over 20 years of experience; education from MIT, Harvard, Johns Hopkins, Brown, and Emory; multiple Board Certifications; membership in many prestigious surgical societies, and an array of awards for exceptional surgical care and community service. We always put your safety first - with our world-class facilities and each of the well-trained members of our team taking personal interest in your care.